Financial Modeling (FM) is a core skill for Financial Analysis that anyone dealing with business, from an entrepreneur to equity analyst or an investment banker, must have. IMS Proschool pioneered the FM training in the country and has trained 6,000+ students. BCom students, MBA graduates, The CFA® charterholders to experienced professionals; a wide range of current and budding professional have benefited from the program. IMS Proschool Financial Modeling classroom training is currently available in Mumbai, Navi Mumbai, Thane, Pune, Delhi, Gurgaon, Bangalore, Hyderabad, Chennai & Kochi. Students outside these cities can undertake the program online. 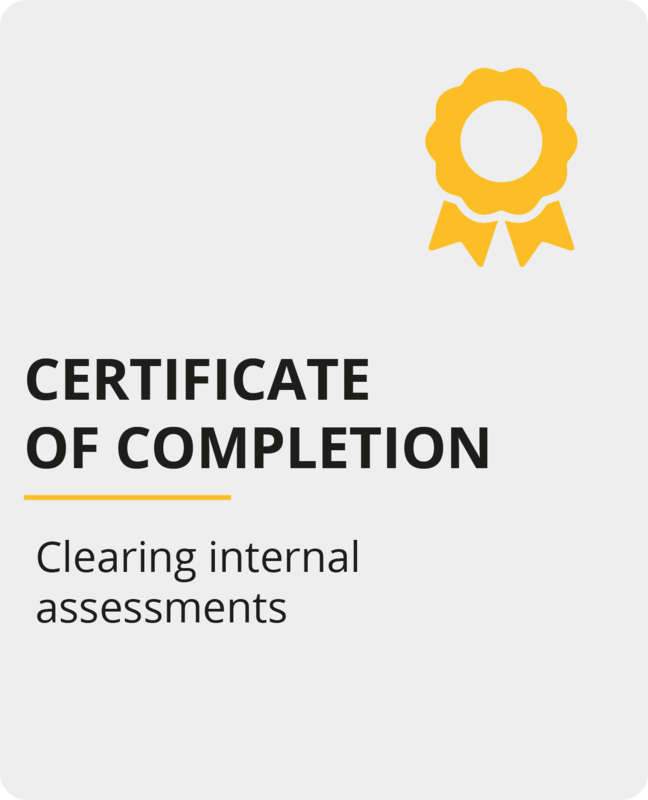 Additional online training and certification on VBA and Macros. Learn from the industry experts at affordable cost. Financial Modeling teaches you to work with historical information on companies and analyze the company / industry performance on relevant financial parameters. This analysis is then used as an input to build financial models. These models project the future financial performance of the project/companies and help us to make financial decisions like viability of projects, valuation of companies and price targets for stocks etc. Since Financial Modeling is core skill, it finds application in almost every area of finance. While experience, networking and ivy league backgrounds are important to build a career in financial analysis field, freshers with good financial modeling skills and understanding of financial statements are getting opportunities as junior analysts. The trend is especially strong in India, with lot of background analysis work for senior analysts abroad is getting outsourced to India. 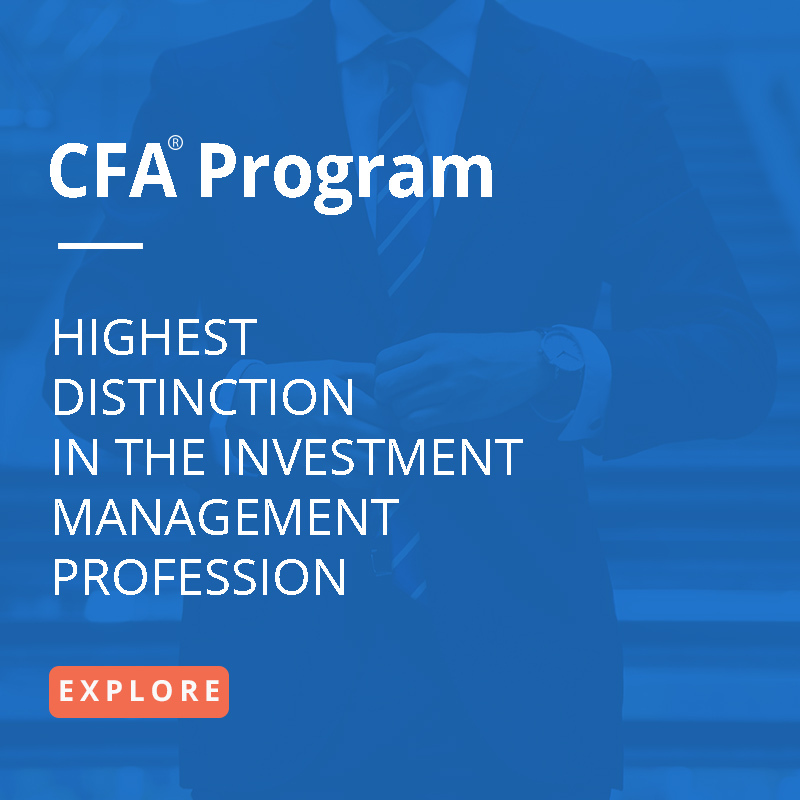 There are several success stories where one has got a foot in the door with financial modeling skills and then added The CFA® Program to progress further. Why Financial Modeling from IMS Proschool? Every Faculty of IMS Proschool is an Industry expert in their domains with each having 7+ years of experience. The syllabus of IMS Proschool is designed keeping industry needs & application of every topic in mind. IMS Proschool offers flexible learning options as per student’s convenience. One can attend classroom sessions conducted at every center or one can opt for online learning where he can study the same from the comfort of his own house. IMS Proschool helps every student with 100% placement assistance. Forecast Revenues, Costs, Debt etc. • Overview of different sectors such as retail, telecom, IT, Oil & Gas etc. NSE Academy Certification is valid for lifetime. 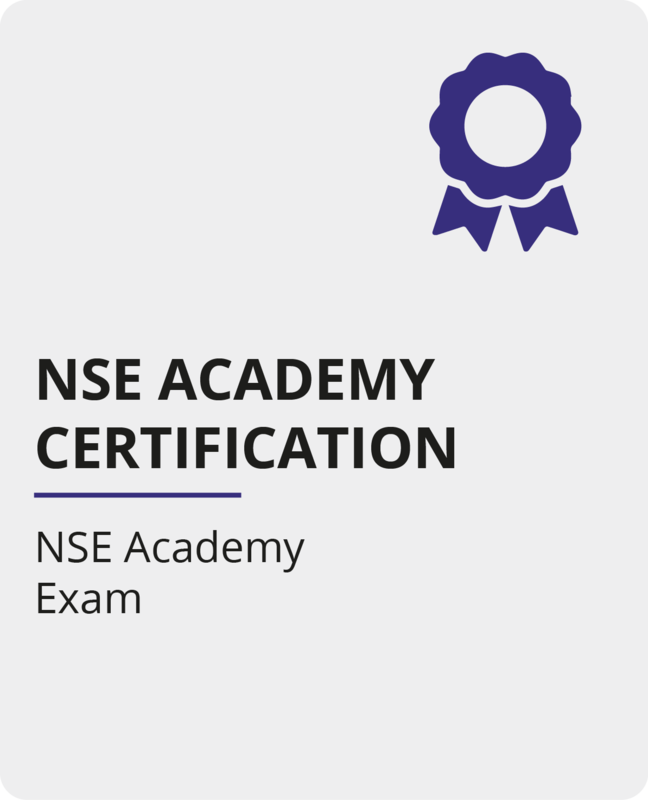 NSE Academy, promoted by National Stock Exchange, is India’s largest Finance Certification body. Certifications from NSE Academy are well-recognized by all the companies in India. Having certification from such a well recognized body will definitely give you edge while competing in the job market. After receiving NSE Academy certification, Proschool provides additional certification of VBA & Macros and Mergers & Acquisitions via online training. I am from Engineering Background. How will Financial Modeling help me in my career? The financial modeling program doesn’t require the candidate to have a commerce background. As long as the the candidate wants to understand decision making which may be in the form of project finance, or equity research or any other field where decision making comes in handy. I have completed The CFA® Program. How will Financial Modeling help me? 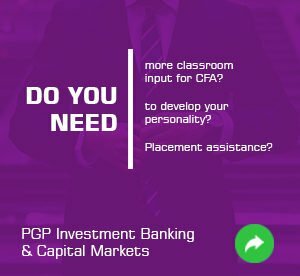 The CFA® Program would have taught you the theoretical base on valuation, investment banking etc. In Financial Modeling, you will learn how to use this conceptual understanding in the practical world of finance where you will prepare financial models of a company to estimate its valuation. I have done CA. How will Financial Modeling help me? If you are a CA who doesn’t want to get into the traditional fields of audit, account and tax and instead covets Investment Banking, Private Equity, Equity Research then you should learn Financial Modeling. Moreover, many CAs are involved in Project Finance as well. Financial Modeling will help you to make Project Finance reports using all the contemporary techniques. I have done B com. How will Financial Modeling help me? Earlier, most of the job opportunities in the field of finance such as Financial Research, Equity Analysis, Credit Analysis where available only to the CAs & MBAs. But with changing job profiles and cost pressures, many companies are hiring fresh graduates. If you do Financial Modeling, then your chances of being selected for a research job increases substantially. Moreover, many opportunities are opening up in the field of Financial Research and KPOs where they hire Graduates. Financial Modeling will also provide you to form a solid foundation and understanding for The CFA® Program as well. I am pursuing MBA in Finance. How will Financial Modeling help me? If you are pursuing an MBA in Finance and want to make a career in any of the financial sectors such as Equity Research, Investment Banking, Project Finance, Corporate Finance or Credit Research then Financial Modeling will definitely be a big part of your job profile. You will learn practical applications of the theory subjects that you have learnt in your MBA such as Financial Management, Accounts and Economics. In Financial Modeling, you will learn Excel in both its basic and advanced avatars. Lastly, it will also help you to improve your profile vis-à-vis other candidates of your institute. Does Financial Modeling help me in banking as well? In corporate banking, most of the work deals with lending money to institutions and/or projects. Financial Modeling helps you to evaluate them and fund the projects/intuitions which are Financially Viable. What is Credit Analysis? How does Financial Modeling help in Credit Analysis? Credit Analysis is primarily used to check the creditworthiness of a company which wants to raise money. In such cases, the analysts observe the past performance of the company to evaluate whether the company can meet its financial obligations. In India, companies that want to raise debt from the market will get a credit rating from the rating house. Based on this rating, they can raise money from the market. With a better rating, more funds will be generated with a lower interest rate. Financial Modeling equips Credit Analysts in collecting historical information as well as outstanding debts and forecasting the future growth on excel to determine the nature and degree of risk factors, which helps him/her in giving the rating. What is Investment Banking? How does Financial Modeling help in Investment Banking? As we have seen, Financial Modeling also helps investors to find companies where they can invest for better returns. Usually, the Investment Banks also end up helping/advising their clients on how to manage their financial assets. Financial Modeling assists the investment bankers to do the valuation of the companies. If you want to get into Investment Banking, then Financial Modeling has proven to be a pre-requisite. What is Equity Research? How does Financial Modeling help in Equity Research? The primary role of an equity research analyst is to analyze companies in order to find possible investments. Sell-side equity research provides its research to the clients. Buy-side equity research is when the analysts perform research to invest in their firm’s money (e.g. mutual funds, hedge funds etc). In Financial Modeling, you will learn how to discover the financial condition of a company and its future growth prospects. Based on this you will carry out valuations of a company and prepare a research report. What is Project Finance? How does Financial Modeling help in Project Finance? Project finance deals with long term financing of infrastructure and industrial projects, based upon the projected cash flows of the project instead of the balance sheets of the project sponsors. It is quite attractive to the private sector because of the ability to fund major projects off the balance sheet. For instance, if Reliance Infrastructure wants to build a metro in Mumbai, they will need huge investments for the project. An investor will invest in Reliance Infra after evaluating the potential cash flows from this project. Financial Modeling will train you to prepare such project finance models, forecast revenues, evaluate projects and finally present a project finance report to the investors. We have prepared a special module in the Financial Modeling program for Project Finance. How is the Proschool program on Financial Modeling different from that of the other training providers? Proschool was the first to introduce Financial modelling course in India. Proschool’s FM program offers NSE Certification which is better accepted compared to other qualifications. Moreover Proschool uses active learning approach, which is basically a method in which the student is engaged in solving and building models from Day 1. “The financial modeling course taught me relevant financial skills as this course was completely new for me,but even through distance learning proschool has provided me enough study materials and assignments through which i have successfully completed financial modeling course through NSE”.